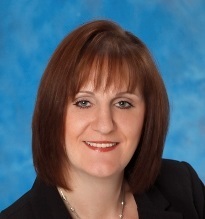 "I was introduced to Maxine Taylor, Coldwell Banker through the USAA home buyer program. We met over the phone due to my being located in KS and her in WA, from our initial phone conversation to our closing I was very impressed with Maxine. I explained our situation to her and she immidiately started our home search, and due to her deligence we were able to locate, offer and close on our home with in 3 weeks. This would not have been possible without her assistance and direction during this process. I would recommend Maxine to anyone looking to buy in this area, her proffesionalism and personal communication surpassed our expectations." "Maxine was wonderful and we cannot say enough good things about her and our experience buying a home with her help." "Thank you is not enough to say for all you have done for our family. We really appreciate your patience and Knowledge to help us get through the purchase of our home. You went above and beyond!" "Maxine Taylor our new best friend, was awesome during what could of been a painful process. She completed the impossible task, of getting us into the house we wanted before the new New Year. She definitely had our best interest in mind. Maxine listened to our needs as a family and spent the time to find the BEST fit. Thanks Maxine for going the extra mile and making our dream come true just the way we dreamt it." "Thanks for being a part of one of my goals in life. You made this experience fun and enjoyable. Never once did you let me down. If it wasn't for your hard work, things wouldn't have happened so smooth and fast. Thank you so so much!" "Very honest, hard-working and thorough. Maxine has your interest in mind at all times. She works for you!" "Maxine got our family into our very first home and we couldn't have been more pleased with her. She knew exactly what we were looking for and constantly kept us in the loop. If we buy again, Maxine will always be our number one pick! We love you!! !